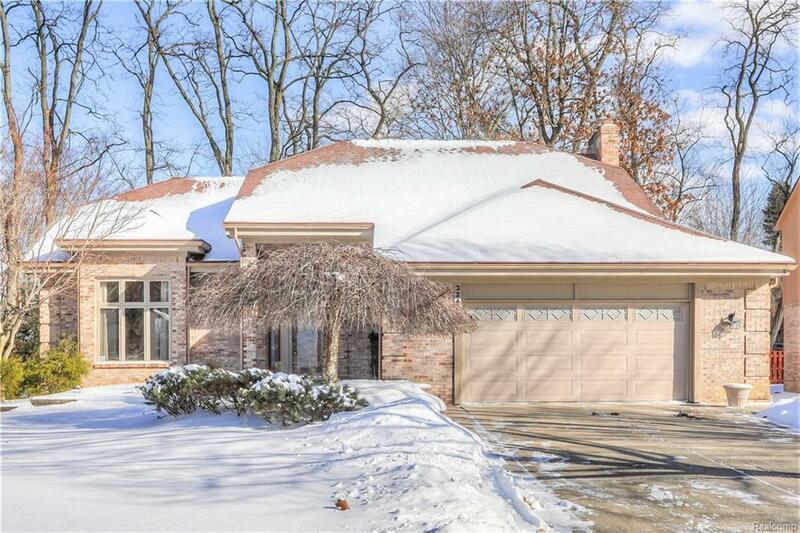 Move in ready and well maintained colonial in West Bloomfield Ridge sub. Spacious kitchen with silestone counters, island, ample cabinet space and pantry - opens to nook and family room with fireplace. Formal dining room and soaring cathedral ceiling in living room, both with hardwood floors. Updated powder room. First floor laundry off attached 2 1/2 car garage. Second floor designed for four bedrooms but master with vaulted ceiling currently set up with a bonus sitting area - could be converted to a 4th BR. Remodeled master bath with double sink granite top vanity and large shower with euro door. Nice WIC with custom organizers. Spacious additional bedrooms with a second full bath up. Finished basement includes large rec room space. Doorwall off nook to nice deck overlooking a private yard. Inground sprinklers and alarm. Roof - &apos;02. Furnace - &apos;04. HWH - &apos;11. A/C - &apos;17.